2014 was a less than epic year for me but it is great to be running again. And I love the new Race Raves web site. It is about time someone came up with that idea. Frankly I wonder how we made it so long without it. It’s funny how I went there first just to read reviews and then found myself writing my own. Good luck and many happy miles in 2015! Darn, that’s what I did wrong on NYD – I failed to wear the right t-shirt! No wonder I didn’t PR! Seriously though. What an amazing year’s running you’ve had. Congratulations. Hope we get to meet up and say hi in real life this year. Nice wrap up and glad I made the highlight reel. 2014 was a definitely a most epic year for you. As for a race recap under 10,000 words – I’ll believe it when I see it! As one of the storied runners that PR’d with a RaceRaves shirt, I’m proud to be part of the movement. 2014 really was a big year for you — a roller coaster, to borrow the cliché. But truly, for people like us, who take pride and joy in running extreme distances, I suppose ANY year is intense, epic, memorable. So really, when we really boil it down to its most simple parts, I like to channel Jeff Lung: we’re living! Though we didn’t see each other this year on the race circuit, it was a pleasure sharing the year with you. 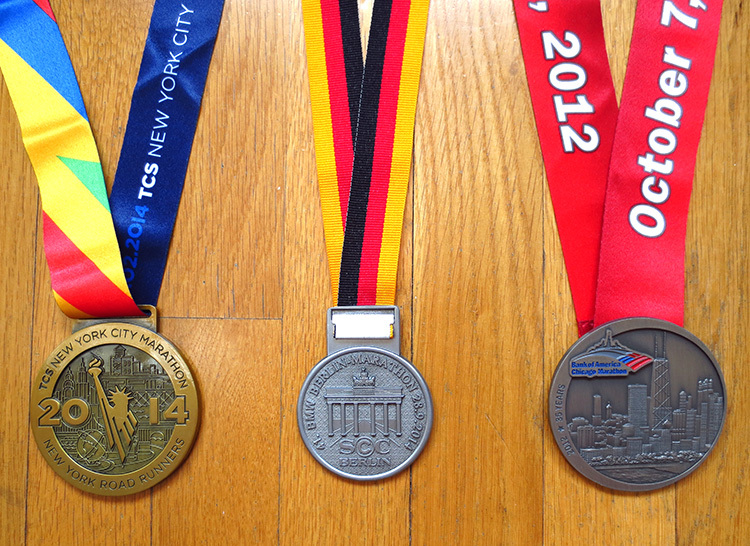 It looks like my knee is back to normal and Berlin training has begun, which means 2015 is already in full swing. Here’s to a huge year not just for both of us, but for everyone whose paths cross with ours along the way.